Are you considering a move to Kansas City…or thinking of selling your home? Perhaps you’re ready to buy a home…or need to relocate aging parents to a senior living facility. Whatever your reason, this site is designed to get you started. Ask anyone who has bought or sold a house and they’ll tell you taking that first step is often the toughest part. It’s easy to begin…right here. This site offers information on several (but not all) communities in the greater Kansas City area. It emphasizes the areas I know the most about… in particular I provide perspectives on my favorite neighborhoods and professional areas of expertise. This includes great communities like Brookside/Waldo, Prairie Village, Overland Park, Leawood, Roeland Park/Mission, and the growing downtown Kansas City condo market. I also have a strong interest in working with senior citizens and their families to provide quality relocation options. Want to Search Listings? Simply click on the Buyer tab, pass on a bit of information (I respect your privacy. Rest assured that all information shared is private and will not be sold or given to any other person or company) and you’ll be hooked up to a website that will notify you daily of all listings that match your needs. What’s My Home Worth? Thinking about selling but not sure of the value? Want to know the selling price of the house across the street? Click on the Seller tab, answer a few questions about your home and I’ll email you a customized list of recent sales in your area. Helpful Resources. 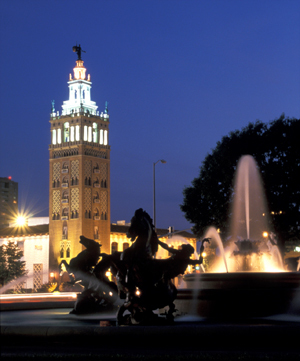 Considering a move to the Kansas City metropolitan area? Great choice! The Featured Communities tab lists various community websites for information. Email me today for a relocation package regarding the areas that interest you—or a general packet of information on the entire KC area. Internet research is an excellent, efficient way to learn about the real estate market when planning a move. However, nothing beats the experience and expertise of an agent who really knows the community—from its parks to its schools to its shops—and of course, its people. Start your home search here. Send me basic information on what type of home and the location you are interested in. You'll also find useful information and tips on how the entire process works. Read more. If you are thinking of selling your home, I can send you a personalized comparative market analysis. Also this section gives you tips on getting your ready home to sell and the importance of marketing and pricing it right. Read more.